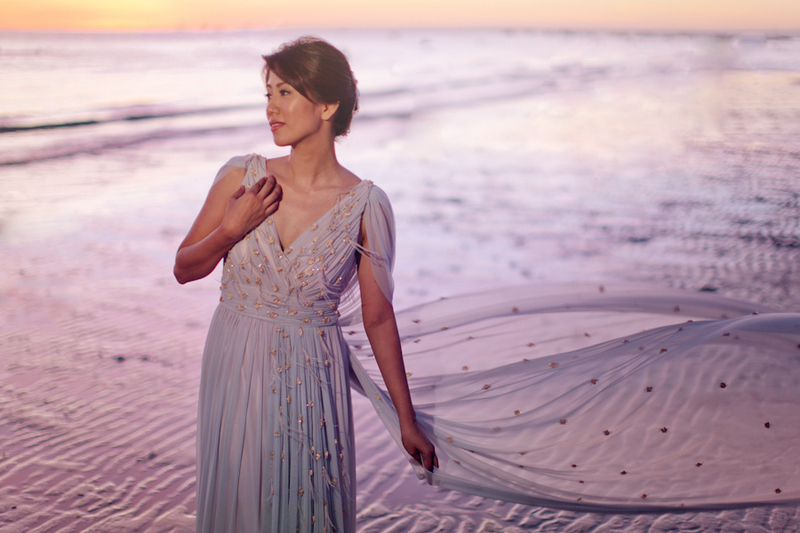 In interpreting the wedding's 'By the Sea' concept, Rebellious Bunch - Hindy Weber Tantoco was inspired by sun-washed seashells and sea-faeries. 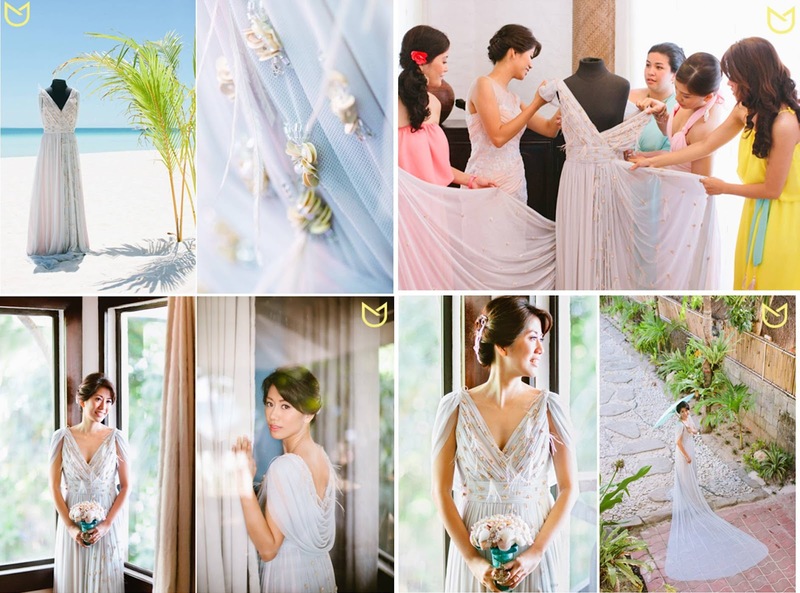 Mark Cantalejo's photos of Rebellious Couple Mabeth & Karym's 'By the Sea' wedding are finally out! And while we wait for the copies, we can't help but start the ball rolling by creating a special feature for just the rebellious bride's gown. Being one of Hindy Weber Tantoco's longtime fans, I am very excited by this wonderful creation. What I love about Hindy is that her gown designs are just absolutely UNIQUE--you really don't see traces of gowns that have been worn before. Rather, when you see a Hindy Weber Tantoco bridal gown, what you will see is really the bride's own personality and the designer's signature unique sense of style. It's like you can never really compare her gowns to anything else....and she finds inspiration from the wedding itself and from the most minuscule of details. Rebellious bride Mabeth wanted a powder blue gown. She says: We believe that the bride and groom can make their own rules. The couple should be free to wear what is beautiful as well as comfortable to them. I chose something simple and light in my favorite blue color that made me feel confident and radiant. After all, it is MY day. Up next: Rebellious Couple Karym & Mabeth's 'By the Sea' wedding! Overall concept by The Rebellious Brides' The Wedding Agency!